Reverend has announced its new Reeves Gabrels Signature RG-SUS guitar. 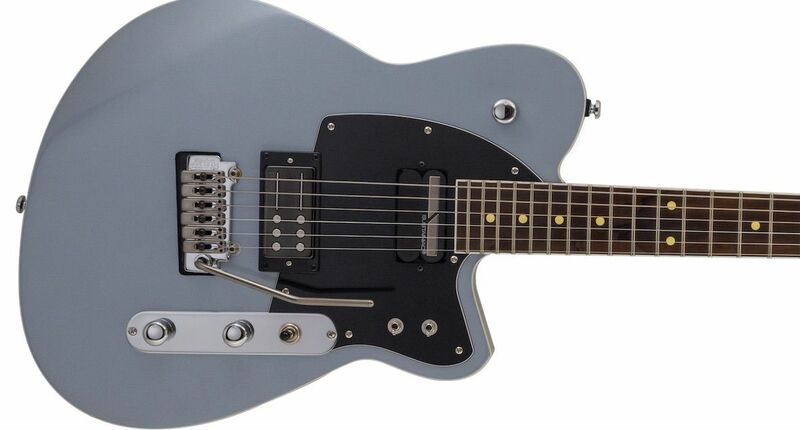 Though this model is quite similar to Gabrels’ original Reverend signature model, the RG-SUS features a Sustainiac system for authentic and controllable feedback. The RG-SUS comes in Metallic Silver Freeze with a Pau Ferro fingerboard on a roasted maple neck. The guitar also features a Railhammer Pickup in the bridge position. Like all Reverend models, the Reeves Gabrels Signature RG-SUS comes with a Boneite nut and locking tuners, Reverend’s Bass Contour Control and a dual-action truss rod.